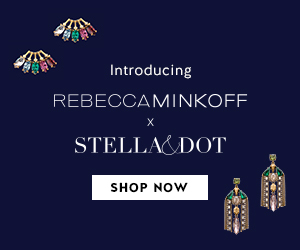 In collaboration with Rebecca Minkoff, Stella & Dot just launched a brand new collection! The collection is made up of new pieces, which were designed and handcrafted in New York City. Rebecca Minkoff is an award winning designer, entrepreneur, and mother who has made her mark in the fashion industry with feminine, yet subtly edgy designs. In this exciting new collaboration, these special pieces are both delicate and powerful, bold and approachable. Here are just a few of the pieces available. 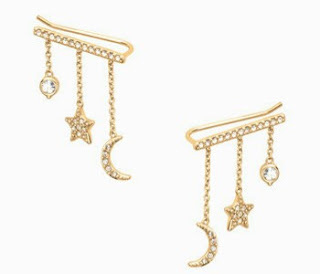 These shiny gold ear climbers line the earlobes with cascading celestial accents. These special pieces are both delicate and powerful, bold and approachable. 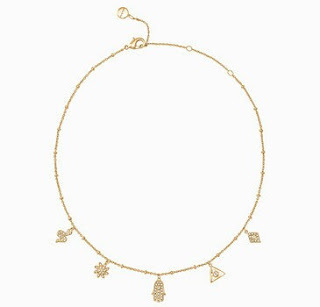 Five hand-set pave charms perfectly spaced on a delicate shiny gold choker. The pieces from this collection are sure to fit in with your current fall wardrobe or upcoming winter wear. Shop the Rebecca Minkoff's Collection.